Forces of equal value typically find a way to balance each other out and nothing proved Newton’s theory more than what was witnessed Monday night at McClintock High School when No. 1 Greenway swept No. 3 Salpointe 3-0 to win the 2018 4A state volleyball championship. Greenway (32-5-1) brought home the second state title in program history while simultaneously preventing Salpointe (34-6) from winning a third state championship in a row. Ironically, the Lancers prevented the Demons from winning its third title by turning Greenway back in 2016. Both programs ended the night with two state championships and one runner-up finish since 2015. It was almost meant to be. But, at the same time, five of Peterson’s standouts remain from the 2016 loss to the Lancers including Oregon State commit Mykenna Nelson. Only 5-foot-8, Nelson hits from the outside as if she was 6-8 and she plays it like she’s a senior in college, not high school. Nelson finished the night with 14 kills including the winning kill in each set. Her set-point in the first outing gave the Demons a 25-21 win in a set defined by unforced errors. 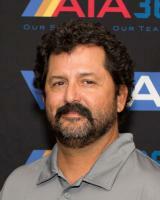 The Lancers committed six service errors with three of them coming after cutting deep into the Demon lead. Down 19-15, the Lancers scored two straight only to give one back and then another long serve gave the Demons a 23-19 lead. The second set was a back-and-forth battle with the Demons putting together a 7-2 run to take a 12-9 lead, only to see the Lancers come back to take a 17-15 lead. Then, up 20-19, the Demons closed the set out for a 25-21 win with Nelson connecting on three of her kills down the final stretch. The Demons built a 20-11 lead in the deciding set, this time using a smothering defense to keep the Lancers at bay. At one point, the Lancers only recorded four kills, allowing the Demons to build a 21-13 lead. Nelson put the match away on what was meant to be just a desperation pass off of a rally from the back row but the ball somehow found hardwood for the 25-21 victory. Freshman sensation Tatum Parrott added nine kills and sophomore setter Avery Richard collected 22 assists to lead Greenway. Heather Moore-Martin guided the Lancers to the state championship over Greenway in 2016 and she did it again last year over Sunrise Mountain. 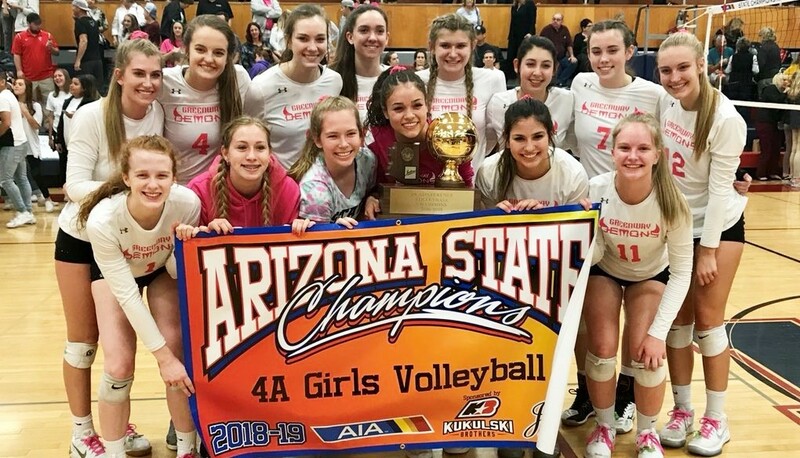 The loss to Greenway on Monday night still brought special, and very rare, rewards to seven standouts who played in all three championship matches including University of Arizona beach volleyball commit Alex Parkhurst and Cal beach volleyball commit Madison Sundholm. Andrea Owens had 10 kills for Salpointe and Sundholm added nine.